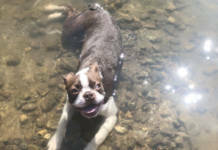 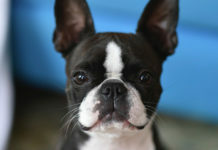 The Boston University mascot is a Boston Terrier named Rhett. 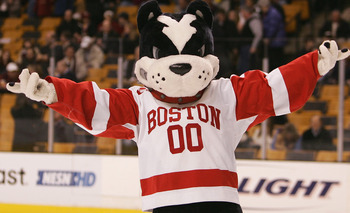 This is the official mascot that represents the Boston University since November 15, 1922. 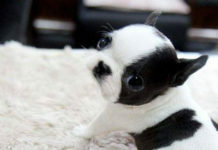 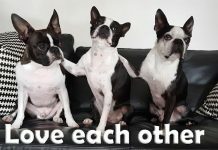 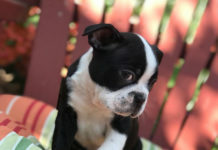 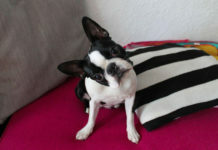 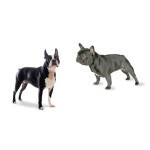 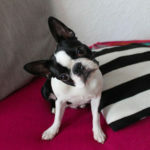 The black and white Boston Terrier was named after the Boston University students voted for one of the two possible mascots. 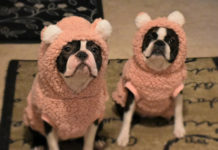 The first was a Boston Terrier dog and the second one was a Moose. 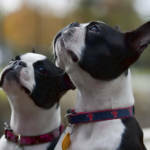 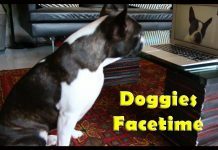 The students made their decisions and they voted mainly for the Boston terrier. 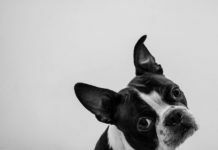 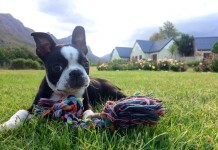 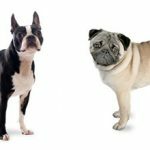 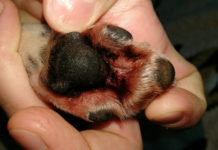 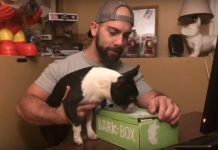 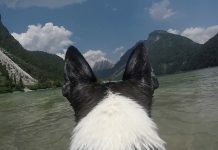 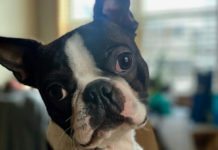 The Boston Terrier dog was first bred in America in 1869 and this is also the year that the Boston University was chartered by the Massachusetts Legislature. 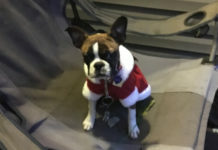 Rhett is a mascot that is around 6’3″ and 200 lbs. 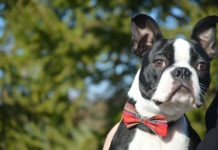 Rhett frequents the Boston University soccer games, hockey games, basketball games, and lacrosse games, youth clinics, National Cheerleading Championships and mascot Championships wearing different outfits. 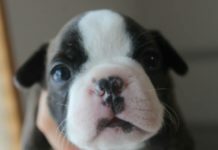 He is also making various appearance related to the Boston University. 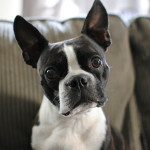 Rhett has been seen on ESPN, CBS, CNN, and NESN commercials.